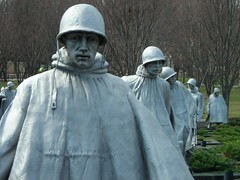 This entry was posted in Opinion & Editorials and tagged Bertrand Russell, Carl Sandburg, fallen soldier, Korean War, Memorial Day, Memorial Day 2012, Vietnam, Vietnam War, Virginia Military Institute, war, World War II. Bookmark the permalink. Paul…Thank you. I have just finished “The Valley Of Decision “, Marcia Davenport, 1945. I have never really thought much about war; it was just another thing I didn’t understand but accepted. As a WW II child, we had the patriotism bit poured down our throats, and it “took”. As the wars progressed, it wasn’t so easy to accept that concept. I now know that war is soley a business proposition. When the ecomony is bad, war gives it a boost…for a while. No, those men and women didn’t die for our country. They died to continue lining the cofffers of big business. Again, thank you. Thanks for reading it. I am currently reading STORM OF STEEL, a novel about World War I by a German soldier (Ernst Junger) who experienced what he is presenting in the book. This is an absolutely brilliant post. I’ve often thought of saying something very, very similar but so often it is misconstrued as ‘disrespectful’ to the young military men and women who give their lives in other lands for causes that are not what they seem. Au contraire, it is an immense respect that speaks to the truth of this waste of lives and of huge amounts of resources that could so well be implemented in other places. Thank you for having the courage to speak so eloquently of it. Thanks. I was simply so moved by watching that young woman who was obviously so sad, and the thought of the mother fainting on the tarmac, that I became very angry at the injustice of it all. I couldn’t get it out of my mind once we were home. We cannot stop the wars, but we can say it is insane, even obscene. Great post, Paul. I also dislike the line of “giving their lives in the defense of freedom.” I wonder how free and democratic the Middle Eastern countries will eventually be? The Fall has left us in a ruin. Thanks. I suspect that once we leave and the dust settles, it will be back to normal. Passing by a couple of years back, I happened to be speaking to a person who was in militray uniform, one who was teaching within the military….it seemed at that time, he too wanted a better way……another teacher once said what ever it is you teach ……. “teach peace” too (words of wisdom still noticed)….even amongst the daily happenings….just the other day it came up that ….media can play a big role in teaching peace….thats the peace that was born in us…..
Hey terrific website! Does running a blog such as this take a lot of work? I teach, so I find it very difficult to keep up any regular schedule. Hence, my blog essays tend to be sporadic. I do one whenever I get an inspiration and have time to write it. One does not need to be good with a computer. I am not.